Andrew W. Bateman prosecutes and protects the patent portfolios of clients ranging from Fortune 100 companies to start-ups, and advises clients on numerous other patent-related matters. 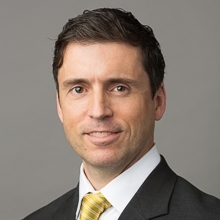 Mr. Bateman’s practice of preparing and prosecuting patent applications is seasoned by his patent litigation experience and supported by a full decade of research and development work as an electrical engineer. This knowledge base and skill set allows Mr. Bateman to efficiently protect clients' intellectual property rights in even the most complex technologies. Mr. Bateman earned his J.D. with high honors at Chicago-Kent College of Law. During law school he served as an executive articles editor of the Chicago-Kent Law Review, and served as a judicial extern to the Honorable Amy J. St. Eve in the U.S. District Court for the Northern District of Illinois. He earned a B.S. in electrical engineering, with honors, at the University of Illinois at Champaign-Urbana, and an M.S. in electrical engineering at National Technological University. Prior to becoming an attorney, Mr. Bateman worked for 10 years at Motorola as an electrical engineer, where he researched, designed, and tested radio frequency hardware systems for a wide variety of wireless communication platforms. "Protecting and Licensing Mobile Applications," Code for the Mission Lunch-N-Learn Seminar, August 3, 2017.